Martin Logan Motion 15 review | What Hi-Fi? We don’t see products from Martin Logan very often. It’s a US manufacturer best known for its high-end hybrid electrostatic speakers. 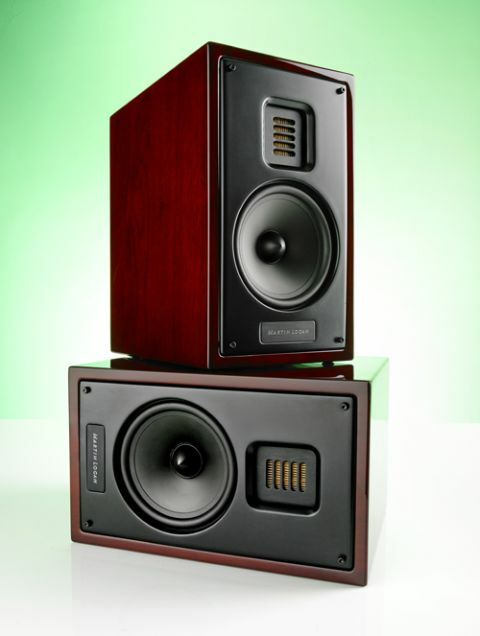 Now, though, it’s making more affordable cabinet speakers, with the Motion 15s being the smallest ‘bookshelf’ model. And we’re pleased to say they’re rather good. These are seriously agile speakers. They’re swift and light-footed enough to keep up with the most cluttered, rhythmically awkward tracks we could think of, and articulate enough to make sense of them. Combine that with impressive dynamics and you get speakers that are livelier than a bunny on a trampoline. We play Bruce Springsteen’s Radio Nowhere and the Motion 15s demonstrate a tight grip on rhythm, which helps to convey a sense of momentum. Factor in the impressive levels of clarity and fluidity, and you get an accomplished performance that feels naturally energetic. If, however, you’re looking for the kind of energy that goes hand-in-hand with big, booming bass, you’re in the wrong place. The Motion 15s are rather compact boxes, standing just 29cm high, so we didn’t expect much in the way of bass. We were right: they’re precise, and integrate well, but they’re not particularly deep and don’t punch very hard. We moved the speakers closer to the wall to try to boost the bass output, but even then we didn’t get a real sense of power and authority. This is the only thing that keeps the Motion 15s from the full five stars. Moving up the frequency range, there’s a transparent midrange and a delicate but remarkably detailed treble. Voices are direct and emotionally engaging, and there’s a clear sense of texture to percussion. As if we weren’t impressed enough, the Motion 15s look gorgeous; sleek with a top that tapers from front to back, and finished with high-gloss real-wood veneer in cherry or black. At the front there’s a folded-ribbon tweeter and 13cm cone. These are set into an anodised aluminium baffle that sits flush with the face of the speaker. Peek round the back and you’ll find a reflex port sitting above a set of slightly odd-looking binding posts. These have been given a slightly flat shape, making them easier to undo or tighten. A pretty face and practical too – what’s not to like? We really rate the Motion 15s. Their delicate, detailed and agile performance impresses us, and they’re great fun to listen to. We’d like a little more punch and authority, but in a smaller room these speakers can really sing.